Are you looking to take part in Stoptober this year? Looking to cut down and quit your reliance on tobacco, save money and improve your health and fitness? 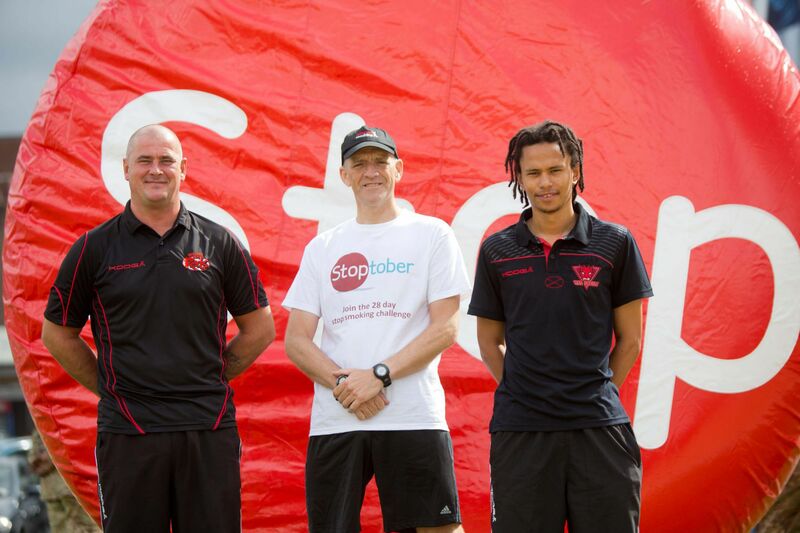 Well why not quit, and be a Stoptober Superhero, with the Salford Red Devils Foundation? We are looking to recruit a team of volunteers, who want to quit smoking and promote our ‘Tackle Smoking’ activity this October as part of national Stoptober month, to get involved. We hope you will take part with our Stoptober Superhero activity through taking part with some blogging and video activity with us as we support you throughout your quitting month, as well as take part in a couple of events and activities. Not only will this will be a great way to get involved and have some fun while improving your health as well as finances, but may also give you some volunteer blogging and writing experience, working with us as part of our team here. All volunteers will receive professional health assistance, as well as industry leading fitness and lifestyle coaching from our Foundation team. As well as this, volunteers will have the opportunity to win some fantastic prizes, including Rugby League World Cup Final Tickets. There really has never been a better time to quit smoking than now, even if only for the month of October. So stop being an everyday Clark Kent and be a Superman, a real Stoptober Superhero by giving up smoking this Stoptober with us at Salford Red Devils Foundation. To take part in this years activity, or to refer a friend or family member or for any additional information, please contact SRDFoundation Health Officer Danny Doherty on 0161 820 2739, or alternatively visit on Twitter @SRDFoundation.